In case you had not heard about it, Cinemark is holding a "Community Day" on August 20th, 2016. The great thing about "Community Day" is that Cinemark is hosting free movies that day, from 9AM to 11:30AM. Yes, you need to be a morning person for this. 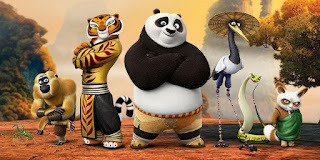 The free movies are going to be "family movies," from DreamWorks Animation, and they include Kung Fu Panda 3, Home, How to Train Your Dragon 2, Madagascar 3, and Shrek. Along with these free movies, concessions will be discounted also. Those discounts will account for "$2 small popcorn, $2 16 oz. soft drinks, and all packaged candy varieties for $2 (While supplies last)"
All of this is in support of WE.org, which provides youth empowerment and service learning programs in the USA! Showtimes and movie selections will show up online at Cinemark.com starting August 15th, but there will be no online purchasing, as the complimentary tickets will only be available at the theater box office only. Of course, there's the usual, "at participating theaters only" clause. But hey, there you have it. See the source link below to confirm any questions you might have.